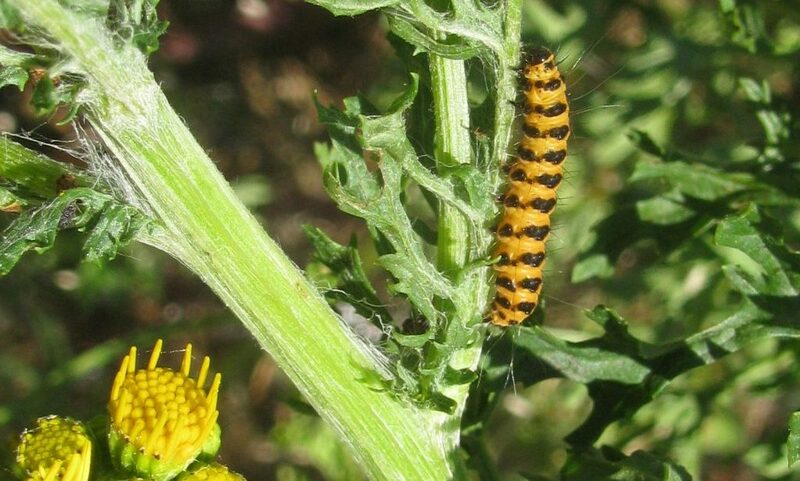 The distinctive mustard and brown stripes of cinnabar moth caterpillars can be found munching on common ragwort this year. Cinnabar moth is just one of 30 insect species (and 14 fungi species) that are entirely reliant on common ragwort as a source of food, and about a third of the insects are scarce or rare. Ragwort is also an important nectar source for hundreds of species of butterflies, bees, moths, flies and other invertebrates, helping to support populations in the UK countryside. Whilst not a common plant on the heath, you are likely to come across individuals amongst the longer grass. 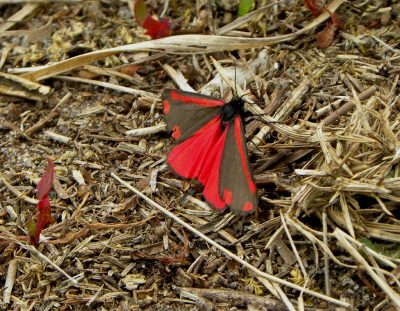 Soon you will see the beautiful adult cinnabar moths emerge.